On our first night in St. John’s we walked up, UP, UP to Signal Hill. Panting and breathless at the top, we were rewarded immediately by the treasure of the vista below. One side a sparkling harbour with it’s ships steaming away against the imminent fog , the other side a deep Prussian ocean with it’s woolen white surf cashing against the jagged base of Fort Amherst. 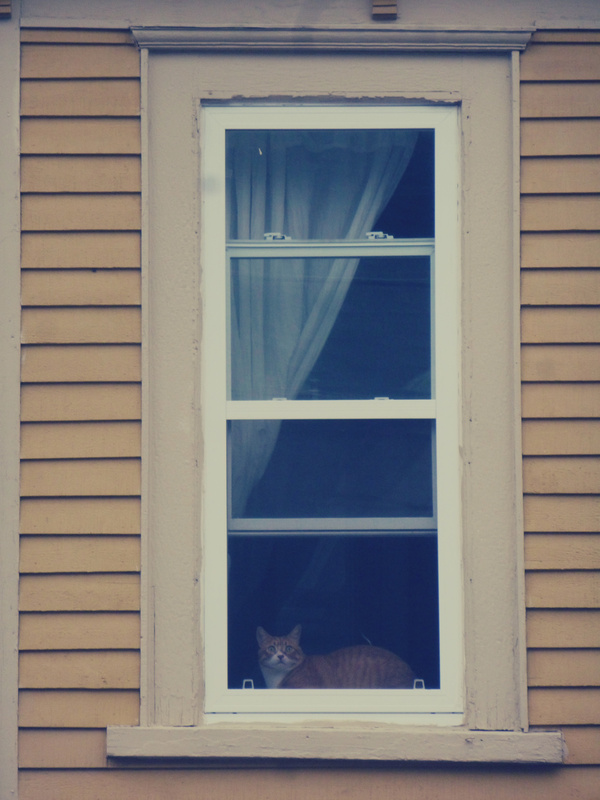 Downtown makes me re-think my own home… Must re-side it in clapboard, paint it with candy colours, put up a lace curtains, install a red “POST” mail box and oh, buy an orange tom cat to sit on the sill. Permanently. I could have photographed Gower and the jovial Jelly Bean Row all day, every day. A chartreuse green house trimmed in violet is so awkwardly delicious! The next block over a butter yellow doorway greets guests like a ray of sunshine against the burnt orange firey heart of a home as the sound of a kayleigh spills out into the street. The people, the pubs, the music - all bustling, boisterous, bold and beautiful.